This mini guitar lesson will introduce you to an easy and unique method of understanding simple strumming rhythms on the guitar. 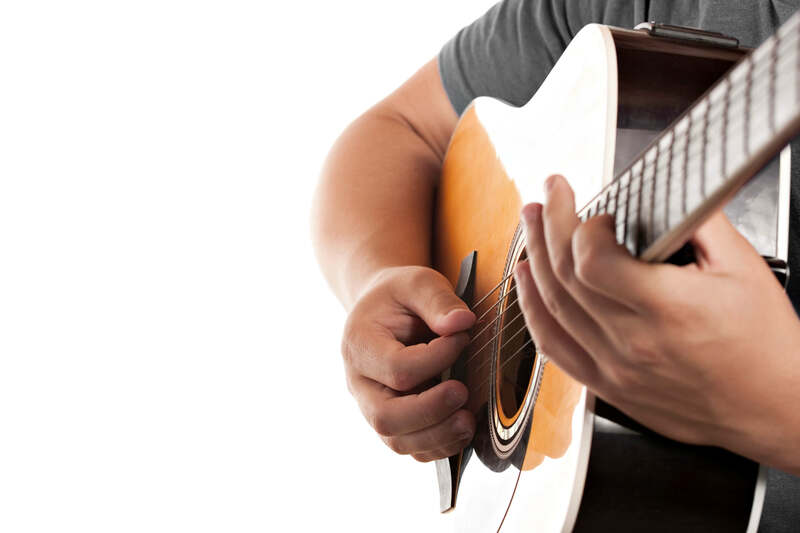 Be sure to keep each strum consistently the same length. Then add the up-strokes in between your down-strokes to produce 8 strums per bar. You should now be strumming twice as fast as before. Try experimenting with this idea to create your own rhythms. If you're in Leeds, I can help you to quickly and easily overcome the challenges of strumming on the guitar. My private one-one lessons will go into much more detail than this, and are completely tailored to suit you.